Destination Recreation: Intervale Sea Caves | Destination Recreation | Kids VT - small people, big ideas! If you've drive on Route 127, the Burlington Beltline, you might have caught a glimpse of a mysterious, black, keyhole-shaped opening standing out in the hillside to your right. This spot, known as the Donahue Sea Caves or Ice Caves, is one of the first places I brought my now-10-year-old son to ice skate. It's a real adventure to walk through the woods to skate on a pond and into a cave. The only tricky part is lacing up your skates while kneeling or sitting on the ground. To get there, take the North Avenue bus or park across from Burlington High School on Institute Road and cross to the east side of North Avenue at the light. At the small brown-and-white sign that says "Donahue Sea Caves," just south of the City Bluffs Condominiums, follow a wide old road, lined with dignified oaks and other deciduous trees, down a gentle grade. As the path curves to the left at the bottom of the hill, look up at the north-facing section of the cliff to see a stand of coniferous hemlocks. You can see this pattern in other places, too; hemlocks tend to grow in shadier, cooler ravines and on north- and east-facing slopes. It's about a five-minute walk down the hill to the pond where the trail ends. You won't actually be underground, just in a hollow in the rock. As soon as you slide or glide inside, you'll see beautiful rounded walls of an orange rock called dolostone (limestone with some magnesium in it). The rock is made up of the bodies of marine organisms and other sediments that were deposited around 500 million years ago, when Vermont lay under a shallow tropical ocean. Experts disagree about how the cave was formed. 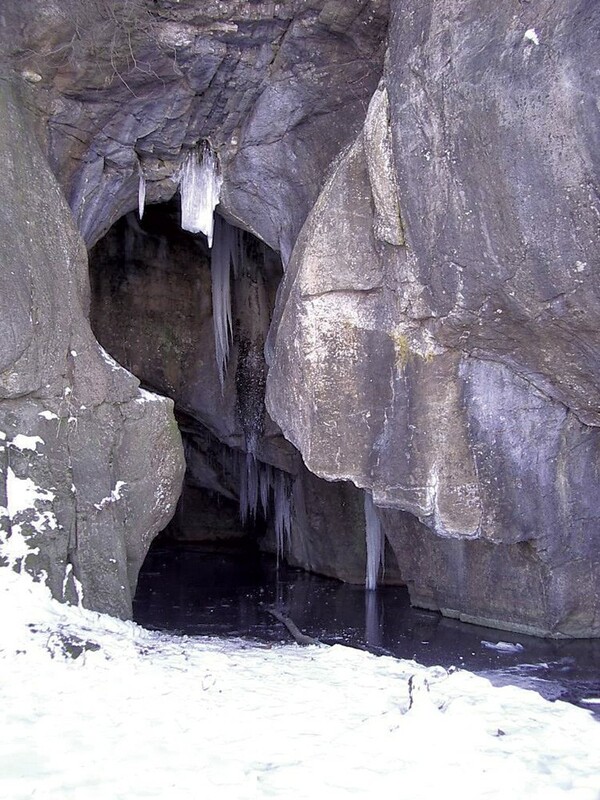 University of Vermont geologist Stephen Wright thinks water dripping through cracks in the bedrock dissolved the rock and formed the cave, and then the cave was "fortuitously exposed" when a glacier eroded the surrounding rock. Naturalist Sean Beckett thinks it was created by an ancient Winooski River channel cutting down through the sand of its old delta "like a knife through butter" and wearing away existing cracks in the bedrock until it formed the smooth cavern you see today. Looking at a place through the lens of geologic history is a lot to take in. A round of hot chocolate may be in order when you're done exploring. Glaciers form when, year after year, it snows more than it melts. The last big glacier in Vermont, the Laurentide Ice Sheet, grew anywhere from centimeters to meters per day and grew to be about 1 1/2 miles thick in the Burlington area 23,000 years ago, according to geologist Stephen Wright. Then it started retreating, which means it melted faster than snow accumulated for many years in a row. 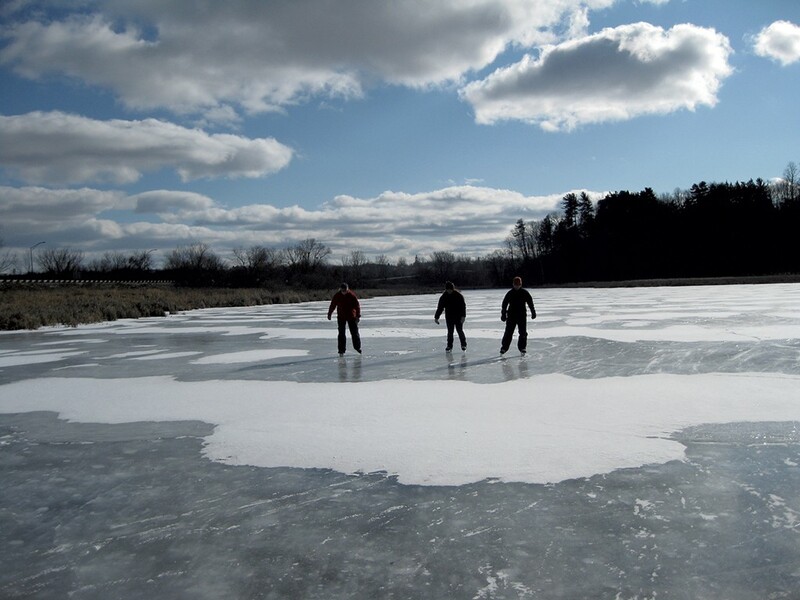 One and a half miles of ice becomes a lot of water, so for thousands of years, as the glacier was melting, two large bodies of water covered the Champlain Valley. First, around 13,500 years ago, came Glacial Lake Vermont, which was about 600 feet above sea level and stretched to the foothills of the Green Mountains. The water was prevented from draining by the not-yet melted glacier to the north. When this glacial ice dam collapsed 12,000 years ago, water rushed out so quickly that the lake level fell almost 300 feet "within a matter of hours or days at most," according to Wright. Because the glacier was heavy, it pushed the land low enough to let in sea water, which gave us the Champlain Sea for a few thousand years, until the land slowly rebounded above sea level by about 9,000 years ago. The Champlain Sea filled the Burlington area to around 300 feet above sea level. Today, Lake Champlain is only about 100 feet above sea level. You can see if you would have been underwater in a given spot by checking your elevation. My favorite way to do this is with a free app called Rockd, which will also tell you what geologic formation you are standing on. Heather Fitzgerald teaches field ecology and environmental science at the Community College of Vermont and the University of Vermont.